The gun debate was once strictly a national debate in the USA. Since 1970 universities and NGOs in the USA have researched this topic. European research started almost twenty years later, mostly by NGOs which work on international level like IANSA, Saferworld and Small Arms Survey. Objective studies of European universities were rare, but they are on the rise. When the Pacific University published in July 2015 its essay Philosophy & Gun Control half of the authors lived in Europe and Canada. 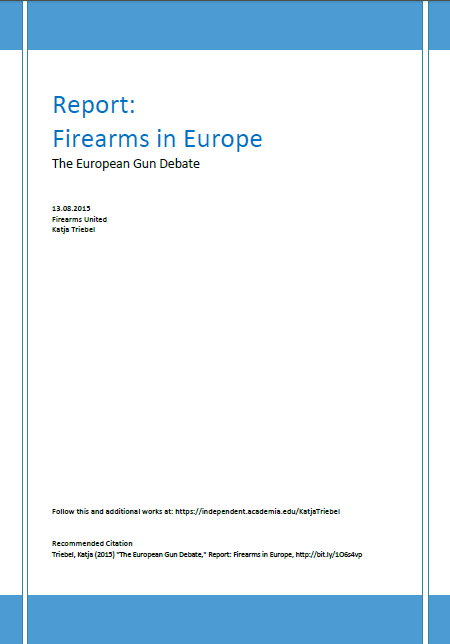 So they represent an important view on the gun debate for European society. The gun debate is a moral debate paired with ignorance and partial knowledge as there are hardly facts and these are often never published. If you ask people, scientists and politicians – everybody has an opinion in the gun debate. These opinions are represented in the philosophical essays. We show in this report how knowledge of facts change the attitude to guns.